Hormel, Campbell Soup and Conagra are among the companies that are innovating and expanding the reach of iconic products — some of which haven’t been updated in years. When executives at Hormel Foods combed through product data in 2009, they noticed a troubling sign in one of the company’s oldest and most beloved brands: Sales at its iconic Dinty Moore were struggling. The product, introduced during the height of the Great Depression in 1935, was losing its edge. And while it dominated the stew category — controlling roughly 80% of sales — the space as a whole has declined 20% during the past decade, with Dinty Moore facing the brunt of this decline as the market leader. 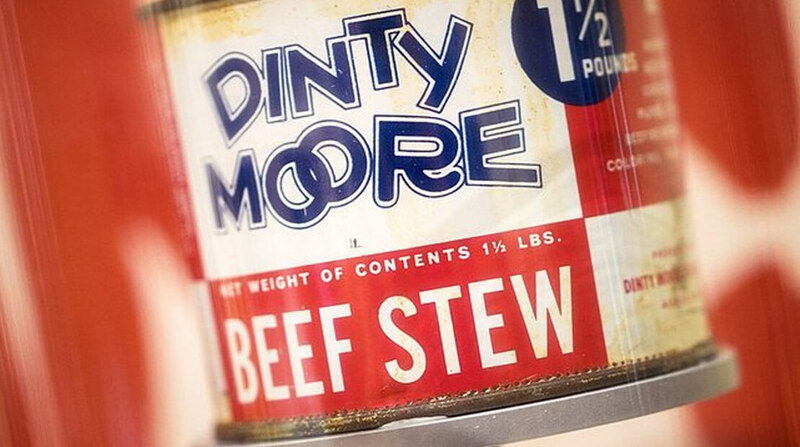 For much of its 83-year history, Dinty Moore cultivated an image as a product loaded with filling ingredients such as meat, potatoes, gravy and carrots. Hormel officials were reluctant to abandon this long-held perception, and in fact doubled-down on this image by running a lighthearted ad campaign in 2016 focusing on lumberjacking as a way to underscore the brand’s perception as a hard-working, hearty meal. Throughout the refresh, Johnson said Hormel embraced the mantra of “if it isn’t broke, don’t fix it” mentality — limiting Dinty Moore to only two major products and essentially maintaining the same ingredients list. But the company, aware of the rapid shift in how and where shoppers consume their food, knew some changes needed to be made. It branched Dinty Moore out beyond its traditional can to include microwavable trays and bowls to cater to the on-the-go consumer, as well as single people or individuals who don’t like having leftovers. In an effort to court millennials who are commanding an ever-growing share of buying power in food, the company advertised on ESPN, eBay, Spotify and Pandora. Hormel also decided to tout the product’s attributes that were being closely watched by shoppers, such as its protein and calorie content,along with the absence of gluten and preservatives. “It’s important that you speak to your core consumer, you don’t step away from that, you celebrate the fact that you got some nostalgia with the brand and the fact that you are hard working, but at the same time you need to educate new consumers as they move into new different life stages,” Johnson said. Jim Snee, Hormel’s CEO, told Food Dive at the Consumer Analyst Group of New York conference in February that there is a delicate balance in managing the long-term visibility of a brand. “It’s this never-end quest to stay up to date with what the consumer is looking for,” he said.